*Gorgeous Views Abound at this 1.4 Acre Peaceful Paradise*Beautiful Home Boasts Huge Covered Front Porch, 3 Bedrooms, Large Living Areas & Screened Porch in Back*Fenced Backyard w/Plenty of Space + Large Storage Shed & Wood Shed*Living Area w/Masonry Fireplace, Bookcases, Vaulted Ceiling, Fan & Fab Hardwood Floors*Plantation Shutters*Kitchen Boasts Sleek Cabinets w/Glass Inserts, Stainless Appliances, Smooth-top Stove, Microwave, Pantry*Master Bedroom w/View, Walk-in Closet, Dual Vanities & Garden Tub in Master Bath*MORE! * MLS#2242300. 3918. Holly Glen - Community Pool/Tennis. Easy Access to Hwy55/I540. MLS#2241778. 986. 12 Oaks - Sprinkler, alarm and speaker system throughout house. MLS#2241683. 5000. 4 beds or 3 bed and a bonus, 2.5 baths on large flat lot.Fantastic floor plan can be customized. MLS#2241696. 4785. This home is part of the Wescott Community Association, Inc. MLS#2241422. 4823. 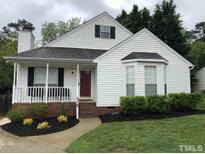 This home is completed and move in ready! MLS#2241315. 717. 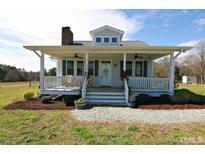 Enjoy close proximity to Hwy 55, US1, 540, shopping, theatres & restaurants. Community includes a pool & playground. MLS#2241325. 1126. 12 Oaks - Minutes to fwys, dining, shopping, entertainment Resort Style Living! MLS#2240710. 1320. Check out this home for yourself. MLS#2241069. 2826. Does miss your final opportunities to build a new home in the master planned, golf course community of 12 Oaks! MLS#2241097. 3789. Walking distance to the neighborhood pool & town walking trails! MLS#2240994. 3039. Large fenced in backyard with playset. MLS#2240919. 3196. Holly Glen - New carpet upstairs in 2019 and some new interior paint. MLS#2224894. 4025. Autumn Park - A short walk to schools. 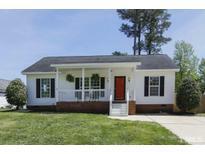 Great Holly Springs location! MLS#2240908. 4141. Fenced Flat Backyard! Come Live the Dream! MLS#2240676. 1709. Steps away from the Pool, Gym, Playground, Clubhouse & Golf! MLS#2239809. 1127. 12 Oaks - The Harrison III For comp purposes only MLS#2240646. 1369. Enjoy outdoors on screen porch & patio. MLS#2240609. 986. Some of its features include hardwoods on the main level, 10' ceilings with lots of natural light, a spacious first floor master with spa-like bath and enormous closet, a chef's kitchen with quartz counters, gas range, plus a HUGE pantry, a large flat yard, and all the other touches you hope to find in your next home. One Year Warranty Included! MLS#2240893. 297. Avocet - Charcoal water filtration system. Neighborhood pool. MLS#2239870. 2989. You don’t want to miss these almost 1/3 acre, amazing home sites, ALL huge and USEABLE yards spaces, nothing in HS compares! MLS#2240449. 4077. A community pool is part of the Bridgewater Holly Springs Homeowners Association Inc. MLS#2240492. 4823. Patio overlooks Private, flat backyrd. Minutes to shopping & dining! ! MLS#2240373. 1127. Pre Sale For Comp Purpose. Sarasota Floor Plan MLS#2240104. 2826.